Many of the #52Ancestors in 52 weeks blog posts I've written this year have leaned toward the dark and tragic: an uncle mangled by a train, a one year old cousin dying on Valentine's day, and other stories of tragedy, trauma, and death. These sad stories are important to tell, but they are not the only ones! It is nice to come across a feel good tale about a recently discovered cousin and his perfect 300 bowling game in 1951. Here is that story and how it helped me solve a genealogy mystery. 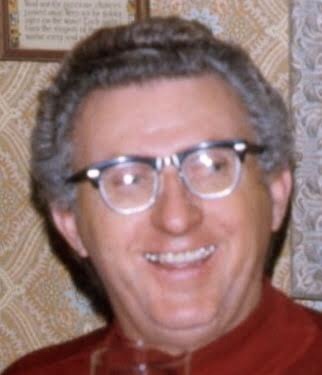 This is Stanley Puchalski (1914-1992). His mother, Catherine Pawlowski Puchalski (1883-1951), was the younger sister of my great grandfather, Adam Pawlowski (1879-1959). Stanley and I would be 1st cousins 2x removed. Until I started seriously researching my family tree little was known about any of my great grandfather's siblings. In fact, other than one brother, John Pawlowski (1882-1920) (who, incdiently, married one of Adam's wife's sisters), no one was even sure if Adam had other siblings. I suspected he did, but evidence was difficult to confirm as there were MANY Pawlowskis in the Detroit area at the time. Ultimately it was DNA testing that helped me get in touch with the Puchalski family. First though, let's appreciate Stanley's accomplishment: A perfectly bowled 300 game on December 26th, 1951! Here is the Detroit Free Press article from 12/27/1951 reporting his feat. I had a hard time finding information on "Denby Recreation" where this perfect game was rolled. Apparently at some point it became "Denby Lanes" and I found this delightful vintage photo on someone's Find A Grave memorial (the photo is also used in the headed of this post). 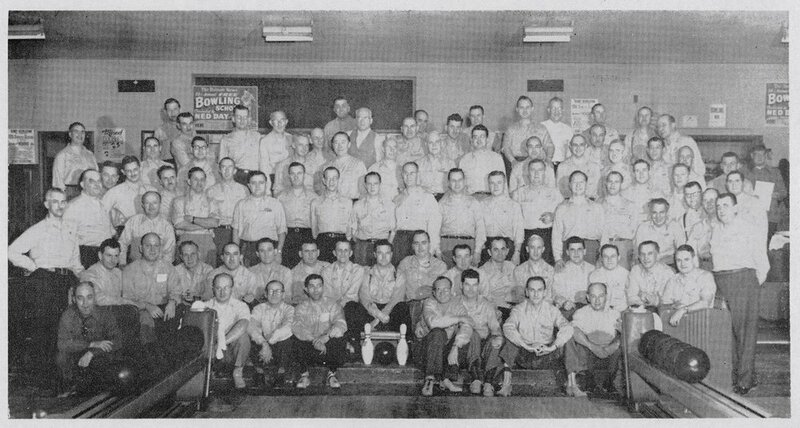 Photo labeled: "Guardian Angels Bowling Team at Denby Lanes, Detroit"
I am not sure when that photo was taken. Stanley is not in it, but I am pretty confident this is where his perfect game took place. How did I find the Puchalski family? Great genealogical question! Here is the brief run down. For a while I had been seeing the Puchalski name show up in the family trees of my AncestryDNA matches. I contacted several but did not get responses. I uncovered some documents that began hinting that my great grandfather, Adam, had a sister, Catherine. Again though, the Pawlowski name was very popular in Detroit at this time so it was difficult to confirm. It wasn't until I began testing my DNA at other genealogy sites (23andMe, Family Tree DNA, My Heritage) that I solved the mystery. TIP: For my money AncestryDNA is by far the best and most helpful DNA testing website out there. The way it integrates with your family tree and helps you make connections with relatives is the easiest and most intuitive of the sites I've used. That said, the others are very good as well and there is a HUGE benefit to testing at multiple sites: You greatly expand the possibility of matching with someone who only tested at that site. For example, one of my top matches on 23andMe had the last name of Puchalski. We discovered that we were 3rd cousins, and that Stanley was his great uncle (his paternal grandfather's brother). We connected by email and he provided some backstory and photographs. And with that another piece of the infinitely complex genealogical puzzle of my family tree was put in place. As I think about Stanley and my family tree I am reminded of the mission of The Psychologenealogist: Exploring the spaces where psychology, genealogy, and history converge - one story at a time. Here are some of the questions I have about. Where was Denby Recreation or Denby Lanes? What can you learn about your own family tree by researching sporting news and recreation clubs? What experiences have you had with DNA testing at different sites? Why did no one in my family know about the Puchalskis? Presumably my great grandfather and his sister, both living in Detroit, were not close. Why? Was there conflict? I've heard generally about an Eastside/Westside familial divide with many of my Polish ancestors who emigrated to Detroit. What role does geography play in determining the types of relationships your ancestors had with their families? This is the 10th of 52 weekly posts planned for 2018. It was inspired by the #52Ancestors writing challenge issued by professional genealogist, Amy Crow Johnson. The challenge: once a week, for all 52 weeks of the year, write about a relative in your family tree.